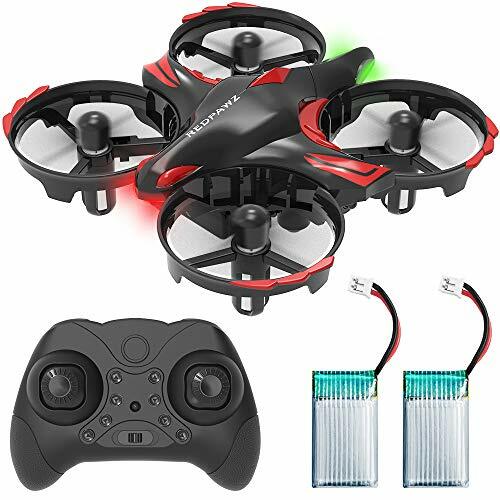 ?JJRC H36 Drone Upgrade?This JJRC H36 upgraded R012 drone has an infrared sensing system. 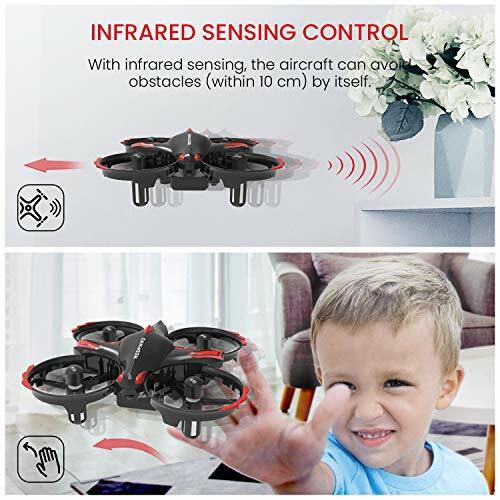 By starting the infrared sensor function, The kids drone can avoid obstacles to protect the fuselage. 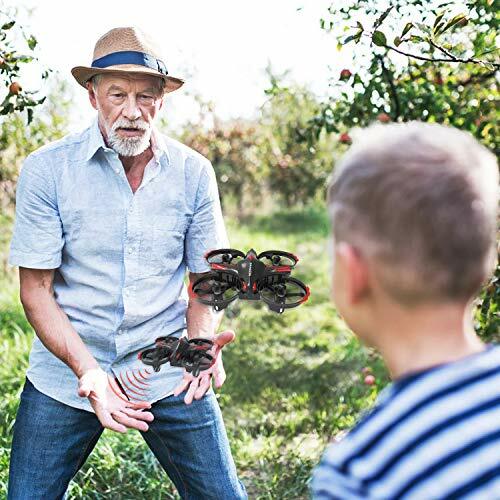 It's the most popular drone for children on Facebook, Twitter and Instagram! ?HAND CONTROL & REMOTE CONTROL?1.We can use the remote control to control quadcopter. 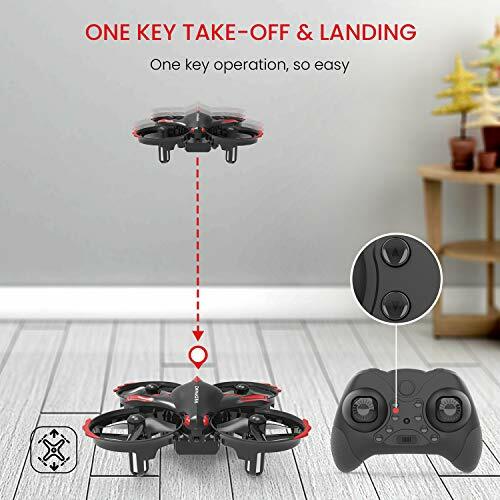 2.The drone can change it's direction by waving your hand, forward, backward, left, right, up or down. (Note: The hand should be about 10CM away from the aircraft). ?DUAL BATTERY VERSION?There are 2 drone batteries in the package. 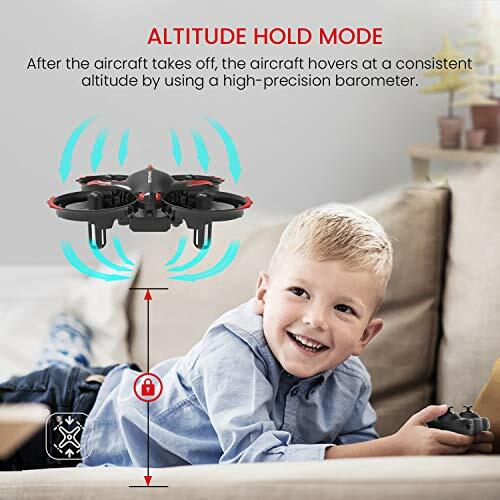 Its flight time can be extended to 14 minutes, allowing your child to have a better time with the kids drone. 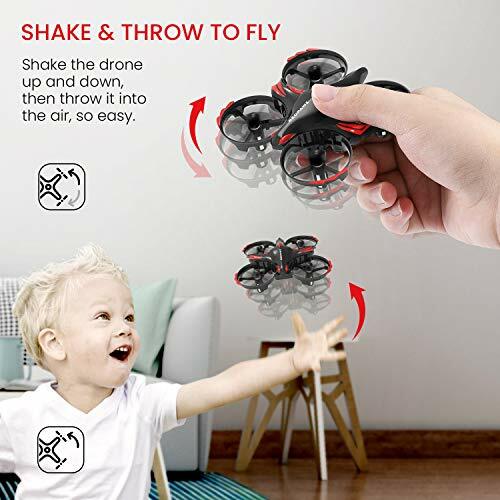 ?MULTI-FUNCTIONAL DESIGN?This kid drone features a bionic design with altitude hold, headless mode, 3D flips &roll, throw to fly, shake the drone to start, one key to return and 3 speed adjustment modes ect functions. ?CERTIFICATION AND WARRANTY?The drones have passed a variety of qualifications CE, FCC,ROHS ect. Enjoy 1-month free replacement or return, 6-months warranty service.If you have any questions, please contact us by email.